The Nagygodosh-Velyka Palad is planned to be launched next spring. 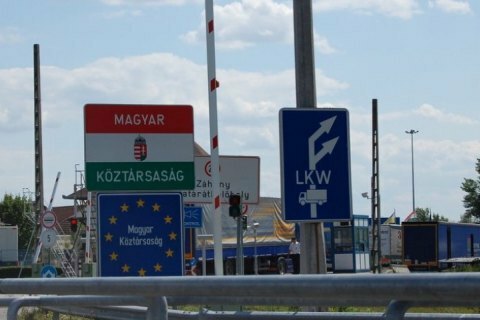 Hungarian Ambassador to Ukraine Erno Keshkien announced the opening of a new border crossing point between Ukraine and Hungary in the spring of 2018. "We hope we will be able to build border points and open new ones in the near future. We hope to open Nagygodosh-Velyka Palad next spring," Interfax-Ukraine quoted the diplomat as saying at a round table conference "Hungarian factor in the domedtic Policy of Ukraine". The village of Velikaya Palad is located in the Vynohradiv district of the Transcarpathian region, just four kilometers from the convergence of the borders of Ukraine, Hungary and Romania and 7 km from the M26 highway leading to the Diakovo-Halmeu crossing point on the Ukrainian-Romanian border. Currently, there are three international checkpoints at the border of Ukraine and Hungary: Chop (Tisa) – Zakhon, Lužanka-Beregshuran and Vilok-Tisabec.